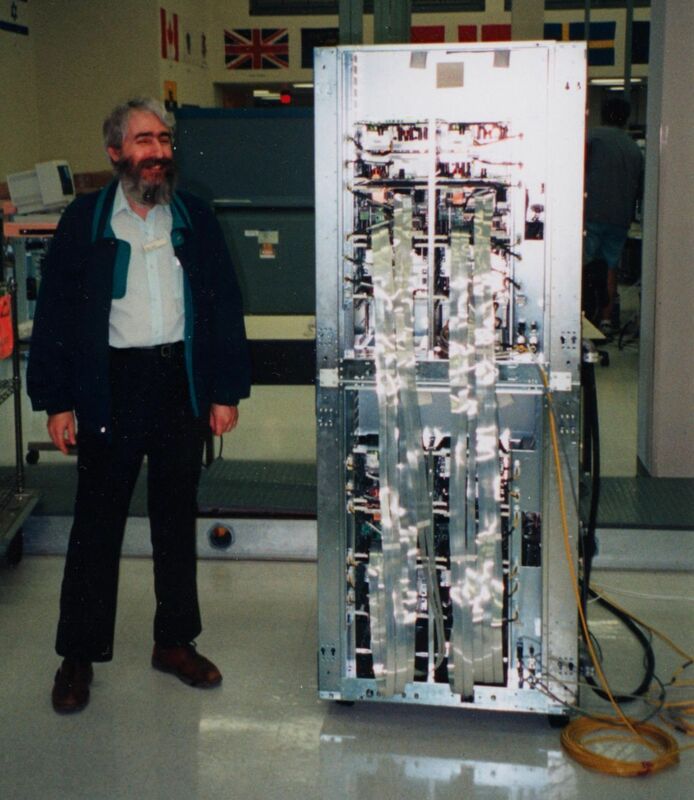 Norm Jaffe beside an HP X-series cabinet, late '90s. 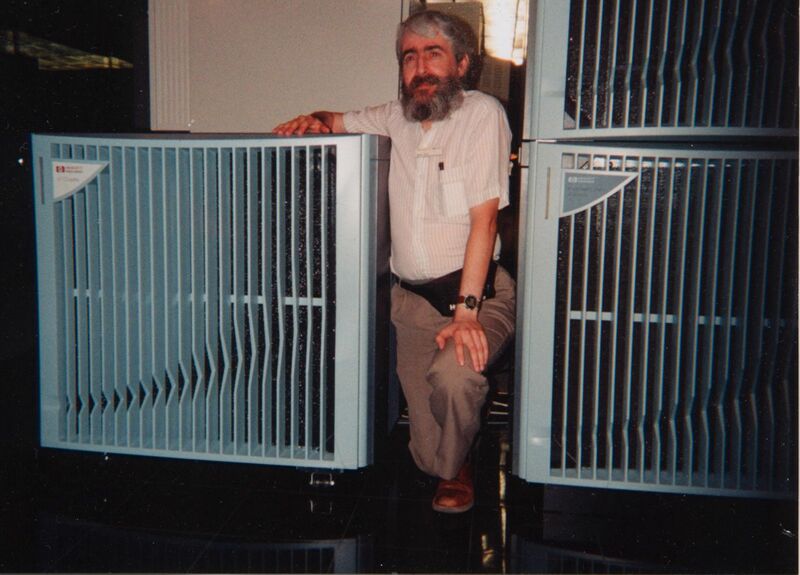 Norm Jaffe between two HP V-series systems, late '90s. 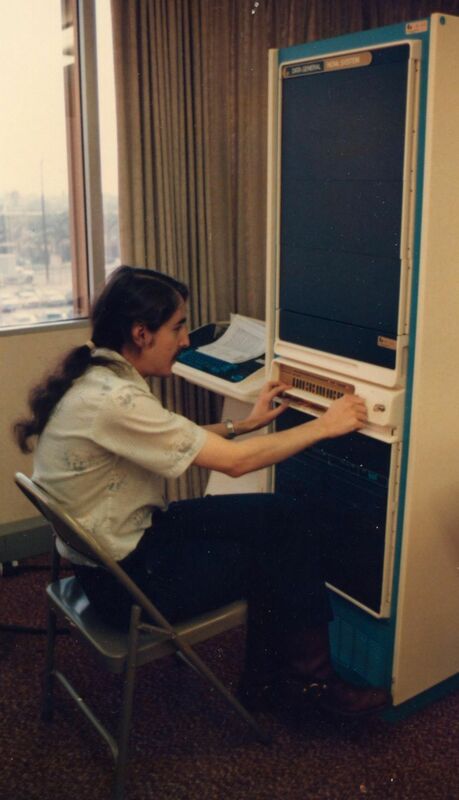 Norm Jaffe working on a Data General Nova, late '70s. 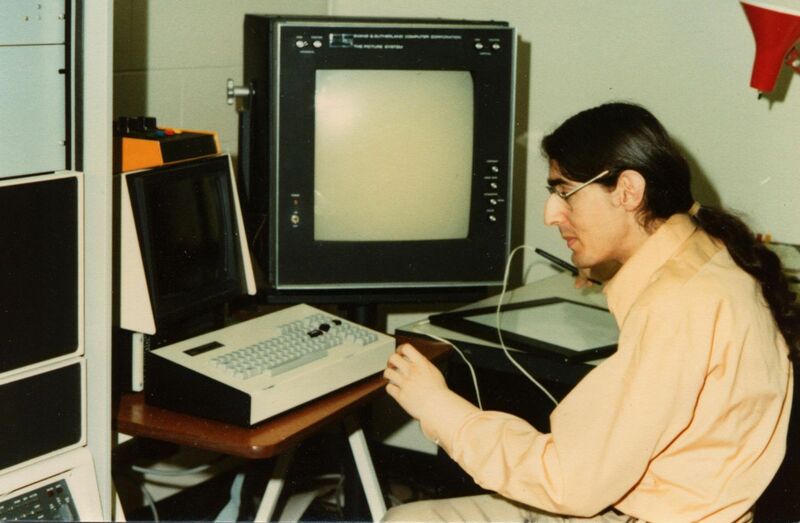 Norm Jaffe working on an Evans and Sutherland graphics system, mid-to-late '70s. 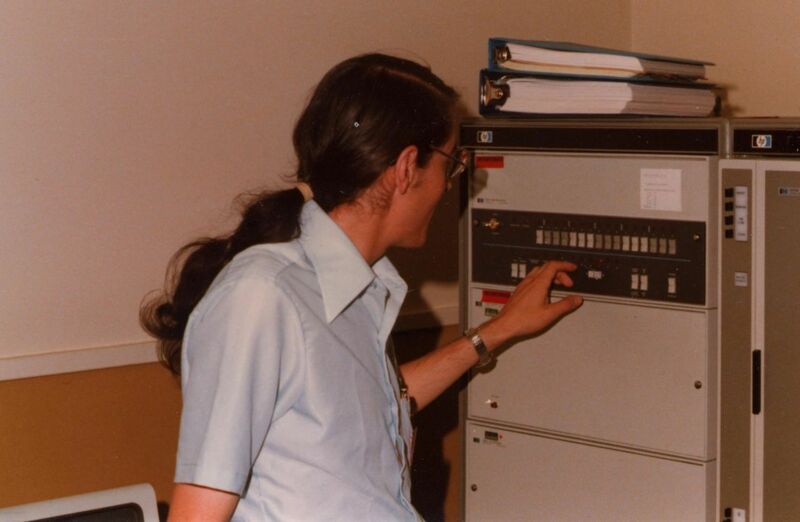 Norm Jaffe beside an HP 1000 system, late '70s. 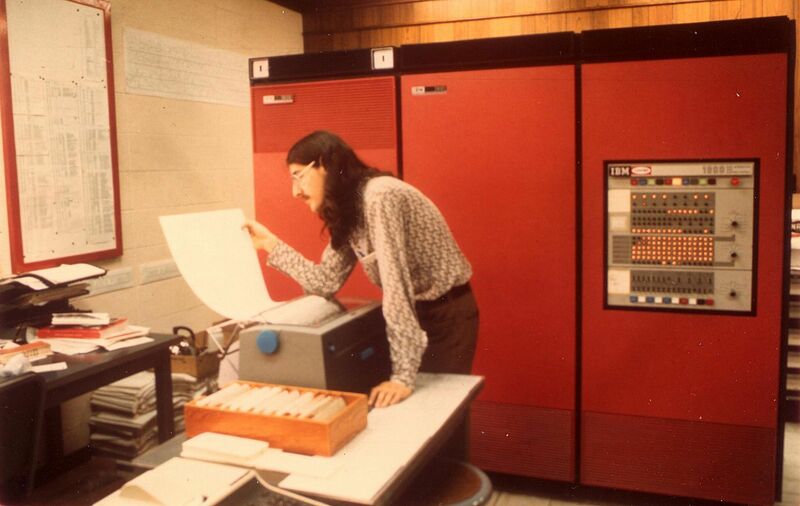 Norm Jaffe in front of an IBM 1800 Process Control Computer, mid '70s. 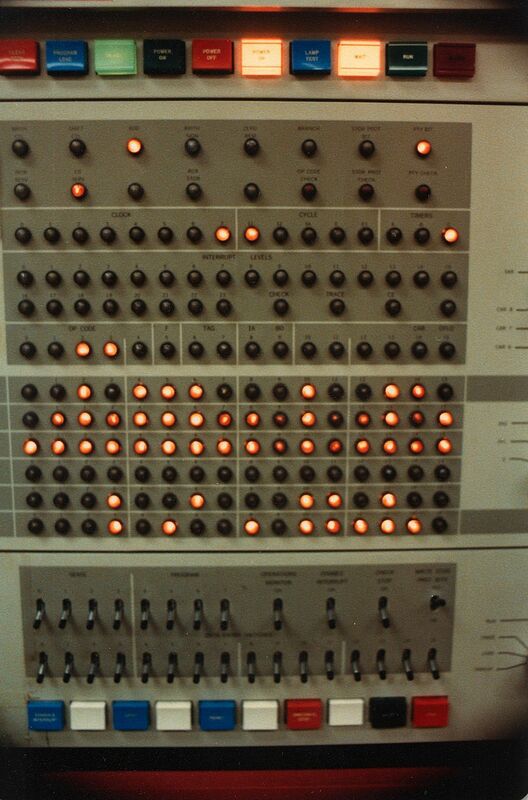 Das blinkenlights - an IBM 1800 Process Control Computer, mid '70s. 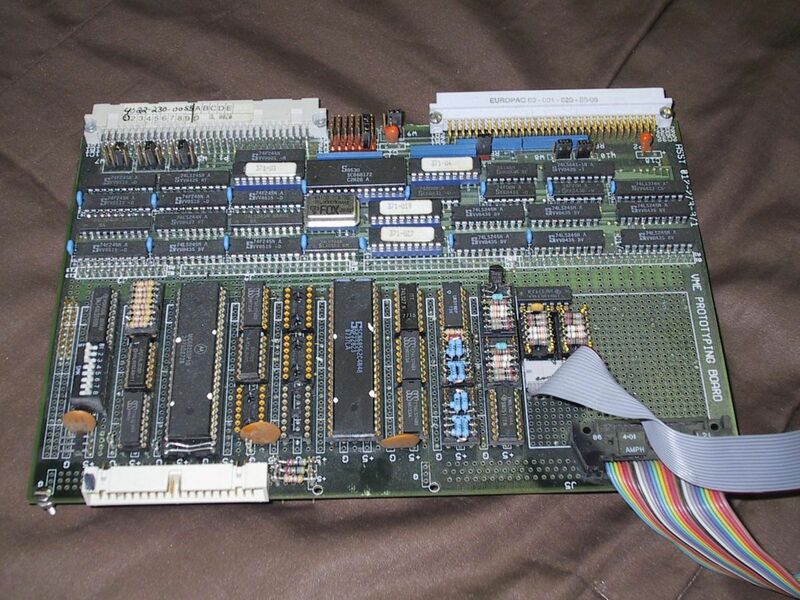 The prototype of a single-board satellite downlink, top view, mid '80s. 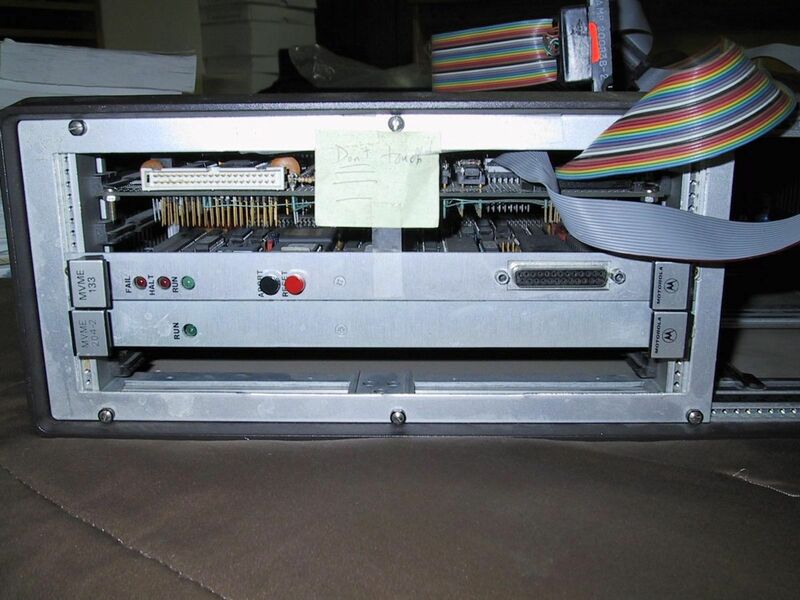 The prototype of a single-board satellite downlink, bottom view, mid '80s. 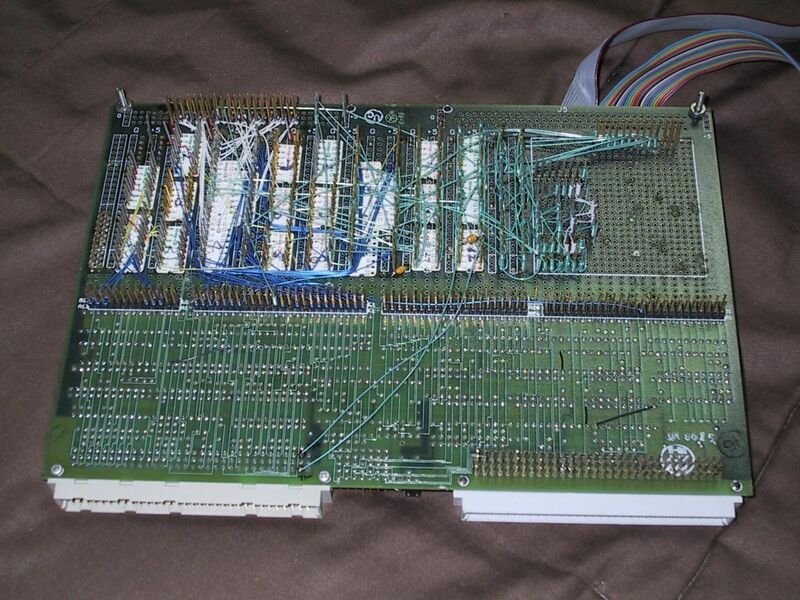 The test chassis for the single-board satellite downlink, top view, mid '80s. 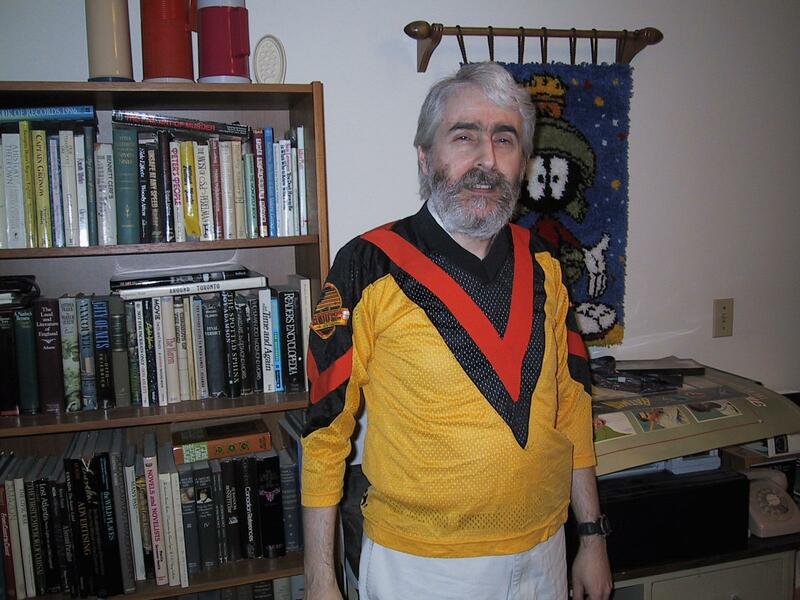 Norm Jaffe sporting the jersey of his favourite hockey team, the Vancouver Canucks. 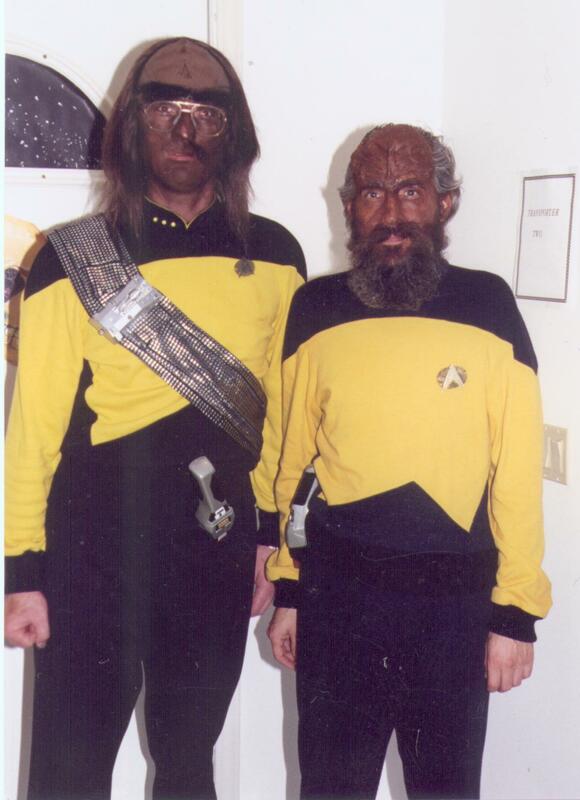 Norm Jaffe as part of the core team of Aurel Systems (he's on the right, dressed as a Klingon science officer).